Country Lifestyle and Living is a business that has just opened in Bangor, Co Down. 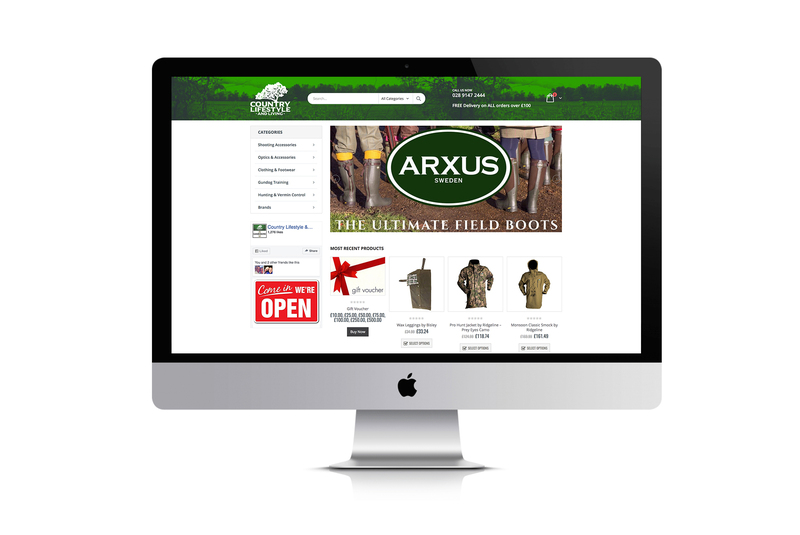 Formed in early 2018 with a focus on providing a more modern service for country sports enthusiasts across the UK and Europe. At Blue Monkee we took this approach to provide a modern looking website with built in easy to use ecommerce capabilities. Country lifestyle and living were looking for something which fitted in with the nature of their business. Our Graphic designer then supplied the client with a selection of ideas that were discussed and the logo was born.